Our research and capacity building programs are part of the 10- year strategic vision of the AIFSRC – read more about the Strategy. Sustainable and productive farming systems—Ensuring sustainable and productive agricultural technologies are underpinned by systems thinking, foresight and enabling policies to enhance their rapid adoption, and embody sound natural resources management. Strong and Equitable Economic and Social Systems—Ensuring effective policies, inclusive institutions and strong markets to build food security and accelerate adoption of innovations. Improved understanding of socioeconomic behaviour regarding adoption constraints and incentives. 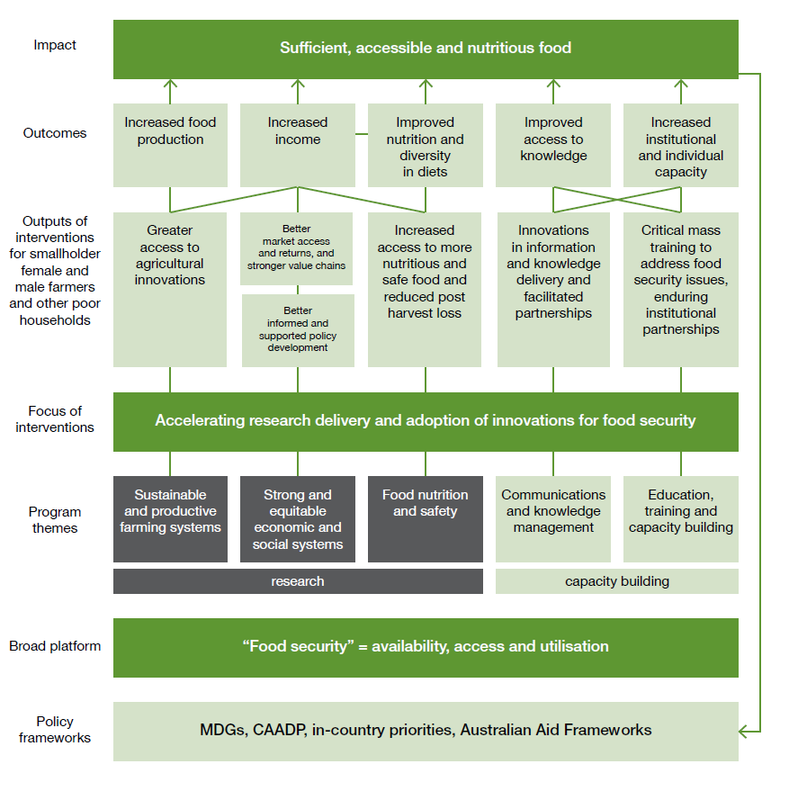 Food nutrition and safety— Improving research on better nutritional quality and diversity of crops and diets, improved food safety, reducing postharvest waste and value-adding technologies to food after harvest. It will contribute to the under-researched area of the nexus between agriculture, nutrition and health. Communications and knowledge management— Ensuring the awareness and adoption of useful innovations through developing innovative ways to access information and knowledge, deliver high-quality technical advice and services to smallholder farmers, and support evidence-based decision-making. Education, training and capacity building— Accelerating research adoption through enhanced individual and institutional capacity, from research development and management through to delivery and empowering of farmers’ organisations. Facilitating activities that enhance the abilities of public and private sector agencies responsible for the widespread dissemination and adoption of innovations. These program areas will also incorporate the principles of gender mainstreaming and aim to build resilience in food systems.